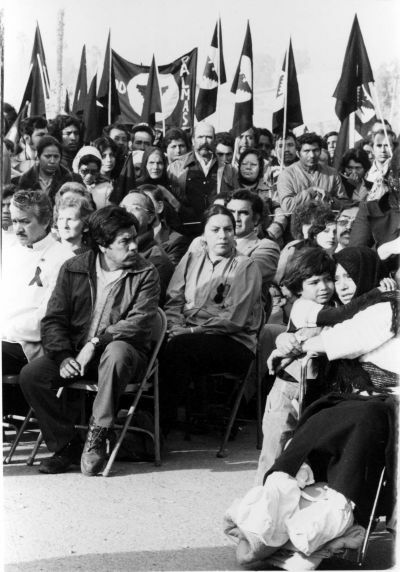 A photograph showing mourners at the funeral of slain farm worker Rufino Contreras. Mr. Contreras, a 28-year old lettuce worker, was killed on February 10, 1979 after he led a group of United Farm Workers (UFW) strikers onto the Mario Saikhon Ranch during the Imperial Valley strike and was shot by a ranch guard. His widow, Rosa Contreras, holds their son Julio at the far right.